Who Course is For: Personnel looking for introduction to Swiftwater Rescue. Swiftwater Rescue Technician and/or in combination with Swiftwater Rescue Technician Advanced. 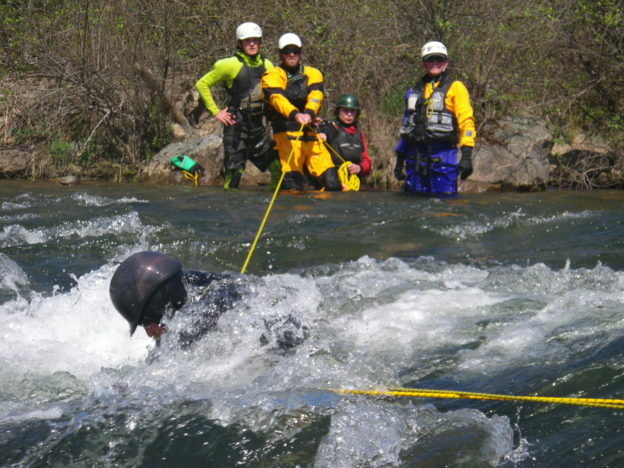 This swiftwater rescue operations level course is designed to provide students with both a theoretical and practical knowledge of the basics of swiftwater rescue. The class includes classroom instruction on day one and practical field exercise on the second day. Students are trained in hazard recognition, equipment use, and basic shore and boat-based rescue techniques, as well as a wide variety of other skills. After completing this course, personnel will also be able to be in the support role for technician level rescuers in higher risk technical water rescues. This course is a basic level water rescue course for emergency services designed to meet and exceed the NFPA 1670 Standard on Operations & Training for Technical Search & Rescue Incidents for water at the operations level. Technician Level of training can be achieved by completing the SRT and the SRTA.